7/26 and 7/27 - No fish, but apparently great days out on the water. 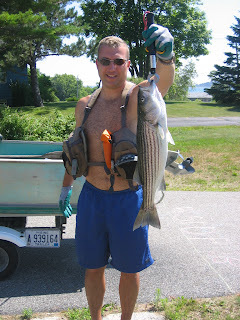 7/25 - 30 and 26 inch Stripers Caught, the 26 was legal, and made a GREAT dinner! I sure would love some fresh "rock" for my birthday! Yum!